Few things are scarier than dealing with the aftermath of a serious motor vehicle accident. Not only are you trying to figure out how the ordeal will affect your family, but also if you ever will make a full recovery. The at-fault party’s insurance company is likely hounding you, asking you to sign documents or give a statement to an insurance adjuster. You may be off of work with no other way to pay the bills. The easiest way to let yourself recover is to enlist experienced Southern California car accident lawyers. Hiring an injury lawyer will not only increase your chances of maximum compensation, but also decrease the burden of filing a claim. A recent study entitled “Paying for Auto Injuries,” contains statistics showing that insurance settlements paid out on accident claims are 4.8 times higher when a personal injury lawyer is involved. An experienced Southern California car accident lawyer at Russell & Lazarus APC may recover your losses. After a car crash, most victims feel overwhelmed. However, you can regain control by consulting with a California car accident lawyer and filing legal claims for compensation. Depending on your circumstances, you might have numerous claims against multiple insurance companies. Since every claim is unique, your claims will depend on the insurance policies involved, the extent of the negligent driver’s coverage, and other factors. Make sure you keep documentation of all of your accident-related bills and expenses in a file. This information will serve as important evidence and will assist your car accident lawyer in developing your claims. When you are involved in a car accident, the first thing you should do is notify your insurance company. There are strict filing deadlines in car accident claims. A missed deadline can lead to a decreased recovery or the automatic dismissal of your claims. However, the involvement of insurance companies doesn’t stop once you file a claim. The insurance adjuster has a duty to investigate your claim and determine whether it has merit. Unfortunately, when the other side’s insurance company calls you, they will be doing everything in their power to low ball you. They are in it for them. When you are severely injured, you have medical bills along with sometimes always-increasing medical expenses. This can lead to a surplus of bills but no money coming in to cover them. You can try to negotiate with an insurance company on your own, but chances are you are not as familiar with the law. The insurance company is not going to tell you all the behind-the-scene details. They are not going to tell you the kind of details they will need, or the type of paperwork that will most likely lead to a profitable conclusion for you. The reason why is because this kind of information will ensure that you receive more money. When you are severely injured, you have medical bills along with sometimes always-increasing medical expenses. This can lead to a surplus of bills but no money coming in to cover them. Rather than give up hope or accept the insurance company’s unfairly low settlement offer, fight back. 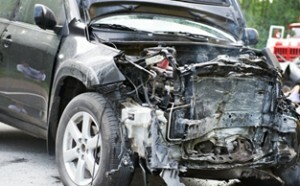 Our Orange County car accident lawyers are experts in the field of car accident law. We are familiar with a wide variety of requirements that the insurance companies will never tell you they need. Unlike the insurance adjuster, we’re on your side and will fight for what you deserve. How Do I Protect Myself After a Car Accident? Immediately after a serious car accident, your top priority should be your safety. Call 911 and cooperate with the authorities’ investigation. You should also seek medical treatment for all of your injuries, even if they seem minor. Sometimes a seemingly minor injury develops into a seriously disabling condition that requires extensive surgery and rehab. Similarly, a mild headache or ringing in your ears might be early signs of a serious traumatic brain injury (TBI). Do not assume that you can fully assess your injuries at the accident scene. Instead, consult with a doctor and explain the circumstances surrounding your crash and your current symptoms. You should also do your best to follow your doctors’ recommendations and limit your activity according to their restrictions. The sooner you see a doctor the better — both insurance companies and juries highly value the medical records that are created immediately after an accident. Records that clearly link your symptoms to the crash are powerful evidence in a liability or negligence claim. This information can help your car accident lawyer and expert witnesses piece together the events that caused your injuries and identify all of the at-fault parties. However, if an insurance adjuster contacts you and asks for a statement, you should politely decline the opportunity. Instead, contact a car accident lawyer for assistance. Insurance companies frequently twist victim statements in an attempt to decrease their value or deny them completely. Once you’re represented by a skilled car accident lawyer, he or she will help you make accurate statements and guide you through the insurance claim process. If you have suffered injuries, the last thing you want to do is deal with lawyers, insurance claims adjusters, and court workers. By hiring an Orange County car accident attorney, you can focus on your recovery, while your attorney deals with the difficult tasks. For more than 25 years, the Orange County car accident lawyers at Russell & Lazarus have helped individuals in Orange and Riverside Counties recover for their injuries. Sit down with the client to find out exactly what happened, review his injuries, and determine a solution. Obtain the accident report from the police or California Highway Patrol after the car, truck, or motorcycle accident. Recreate the scene during an accident reconstruction, which includes mapping out the areas of travel and taking photographs, if necessary. Gather witness statements from those people who were present during the accident. Obtain the highest possible compensation amount for the car, truck, or motorcycle damage or total loss. Contact the client on a regular basis for medical treatment updates, so that once treatment is finished, medical records and corresponding bills can be ordered and submitted to the insurance company. Work with the client and the client’s employer to calculate lost wages for reimbursement. Let the insurance company know how the accident not only affected the victim’s health, but also his personal life. Negotiate with the at-fault insurance company on the victim’s behalf to obtain the best possible settlement. We strive to give our clients peace of mind and the freedom to recover from their injuries without the hassle of insurance adjuster phone calls. If you have a question about a car accident claim, contact a attorney at Russell & Lazarus APC. You can reach an experienced car accident lawyer by calling (949) 851-0222 to schedule a consultation. You don’t need to fight your fight alone. Contact us today. We serve in the Los Angeles, Riverside, San Bernardino and Orange Counties.